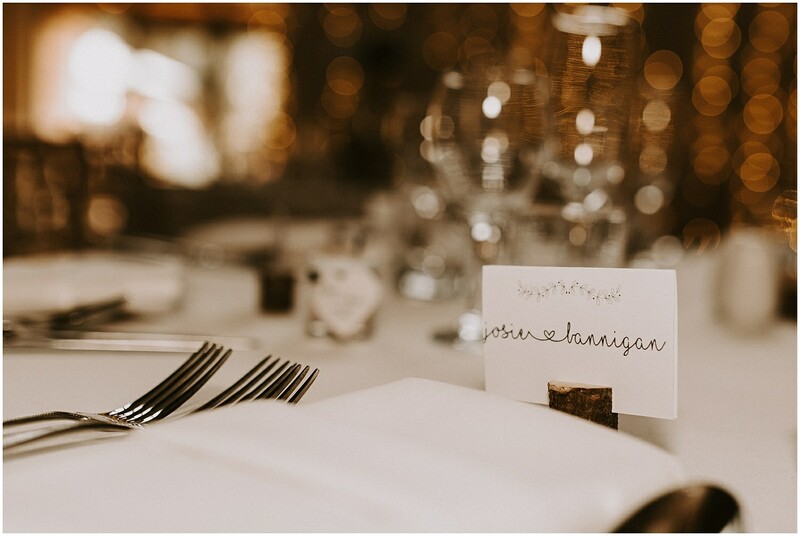 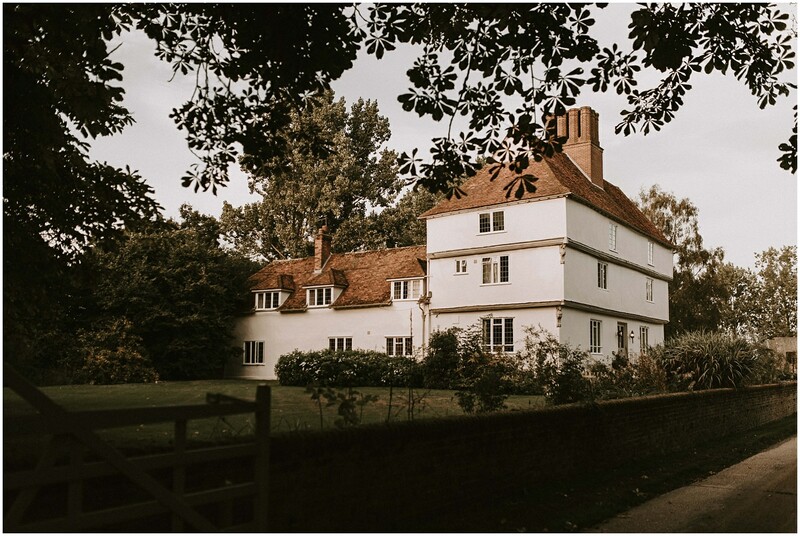 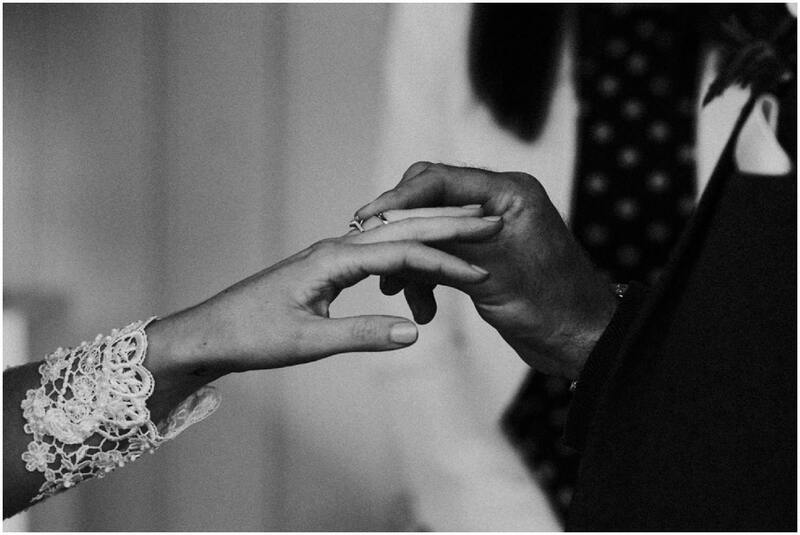 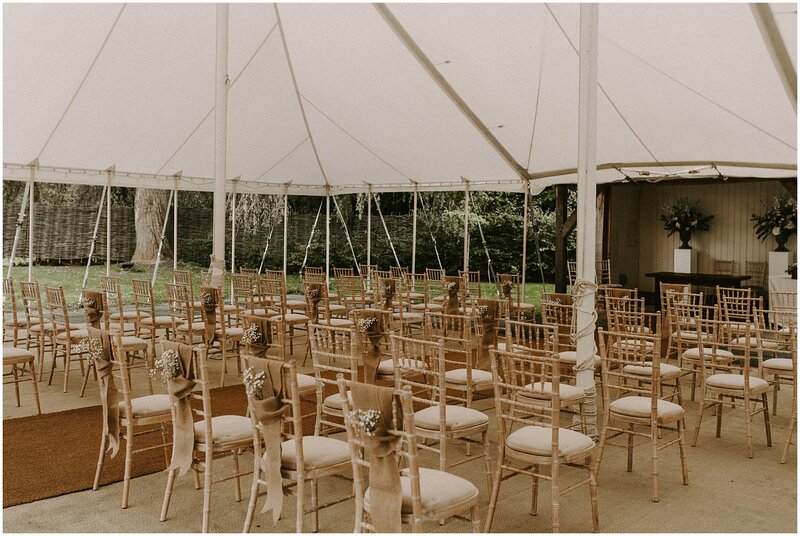 I absolutely love a Houchins wedding because it’s one of the few wedding venues in Essex with a really lovey homely feel. 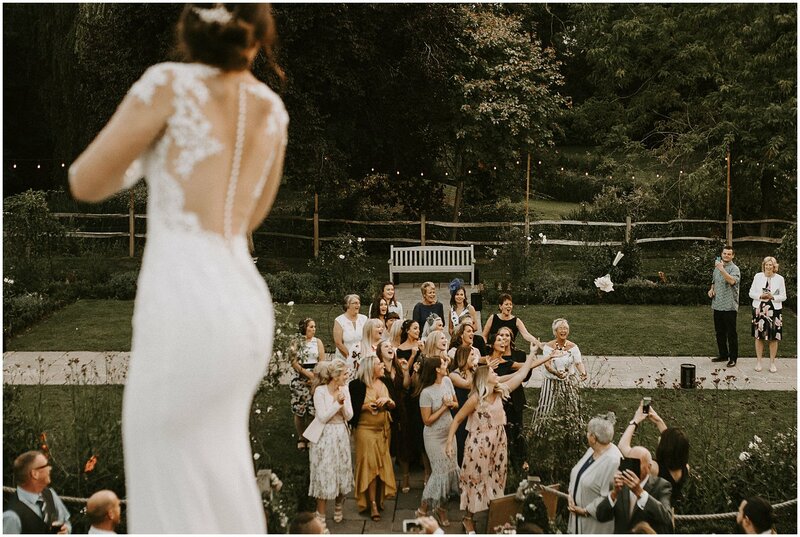 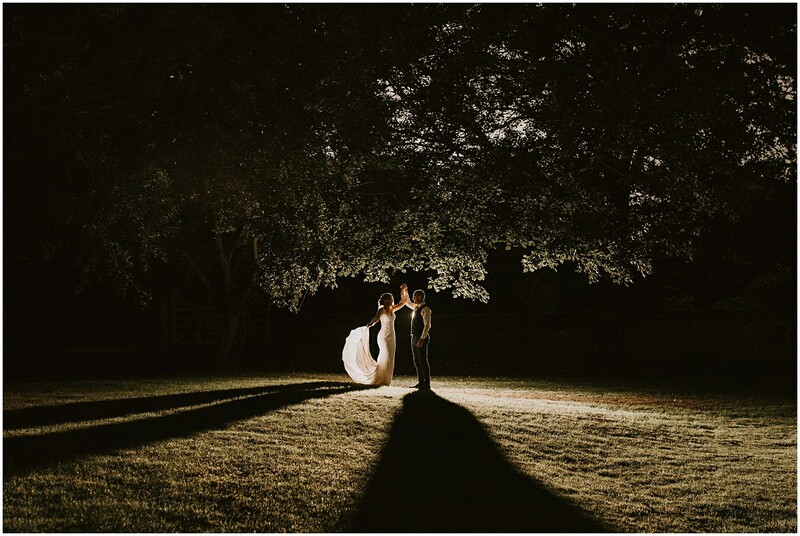 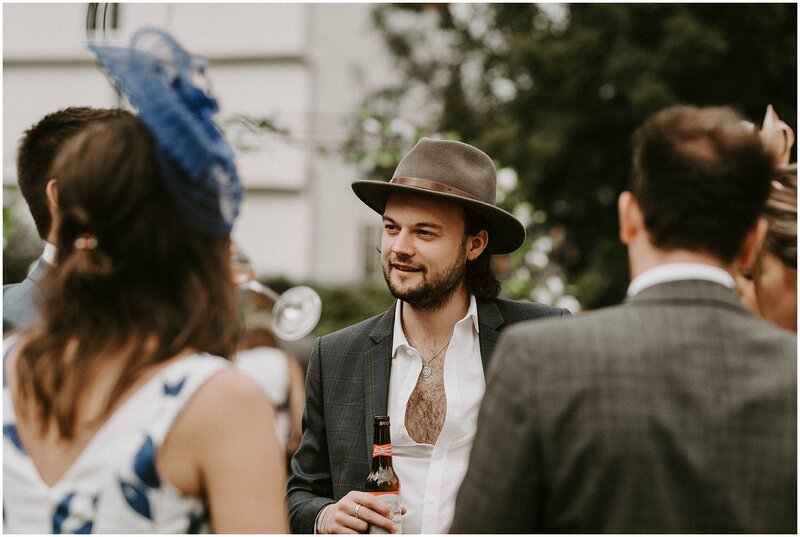 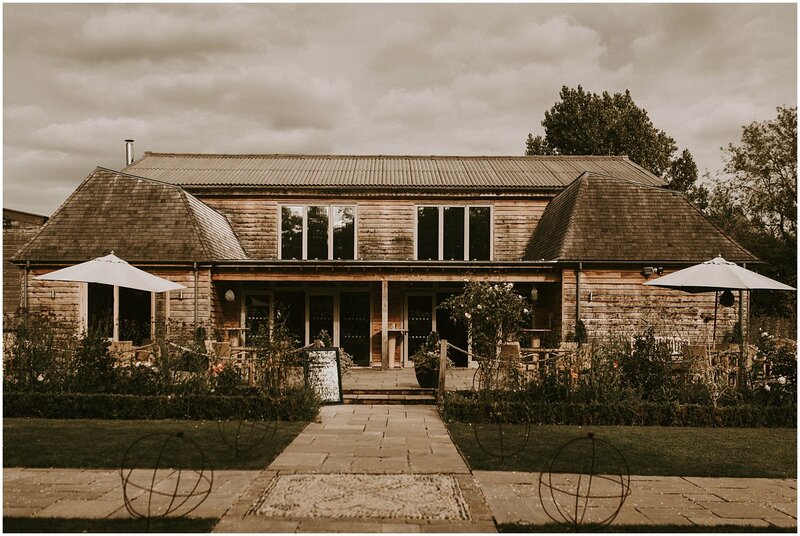 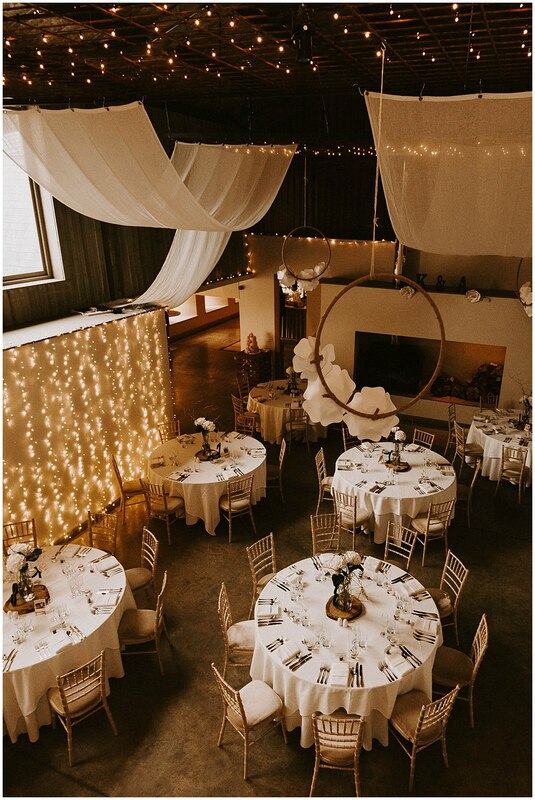 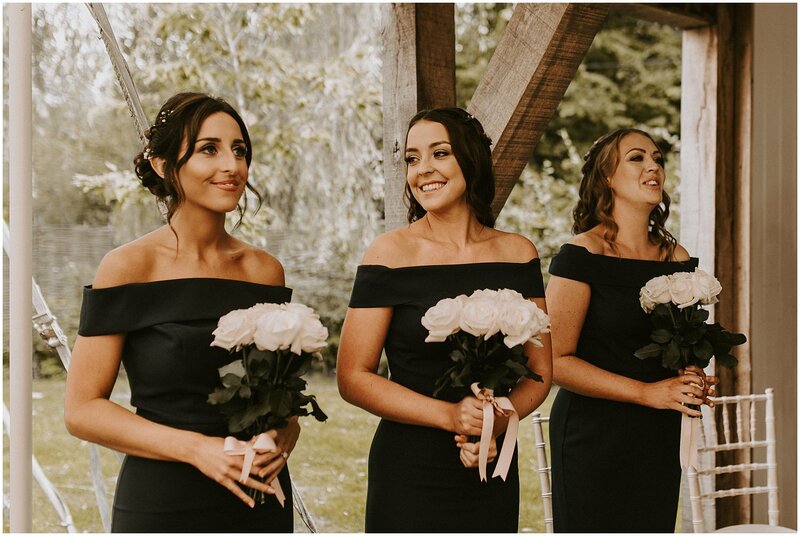 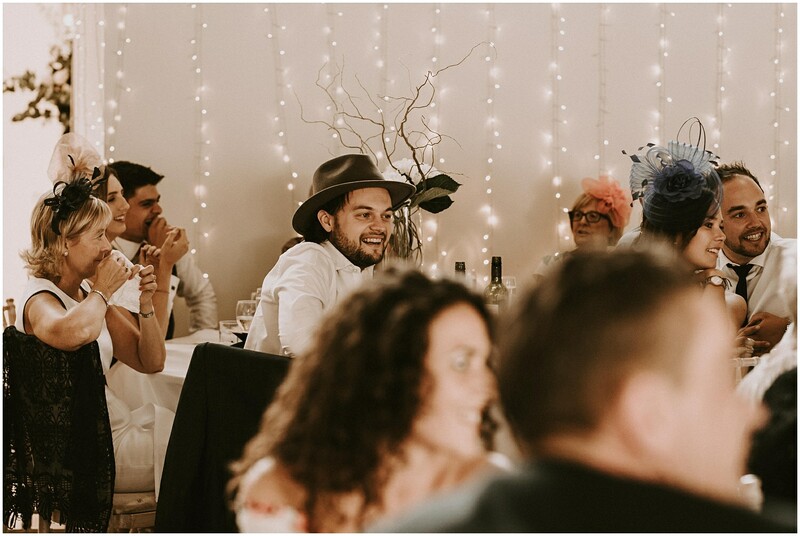 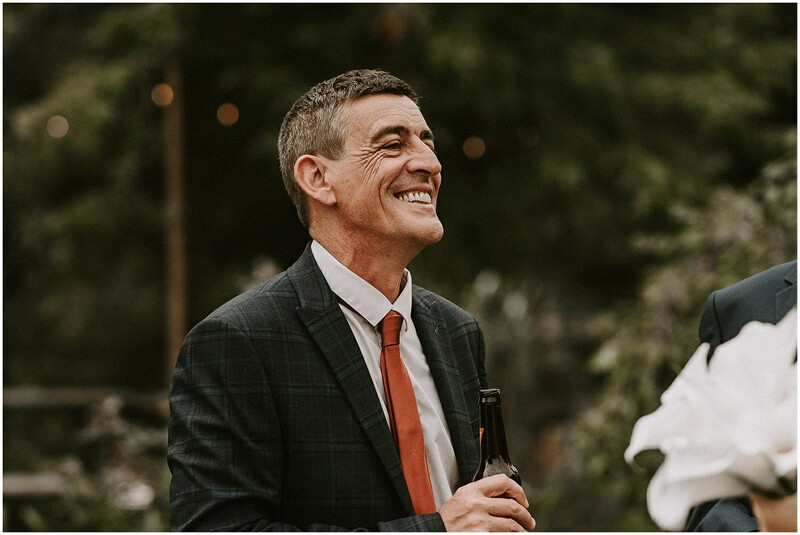 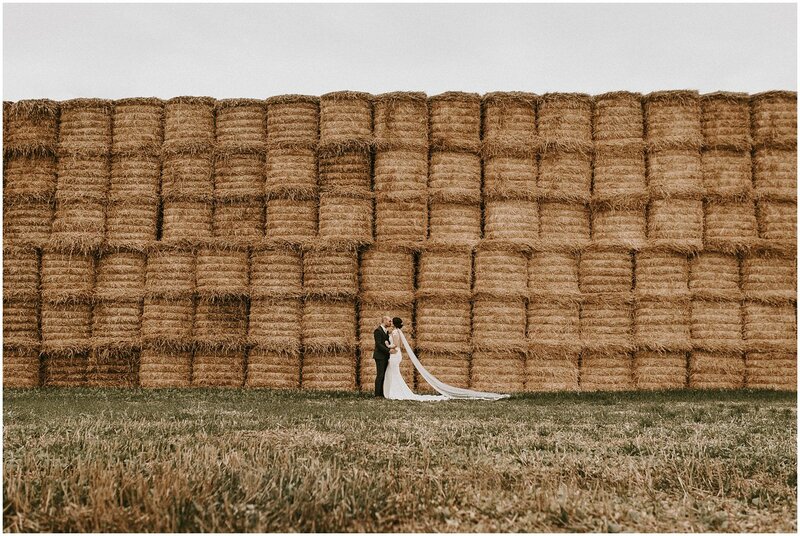 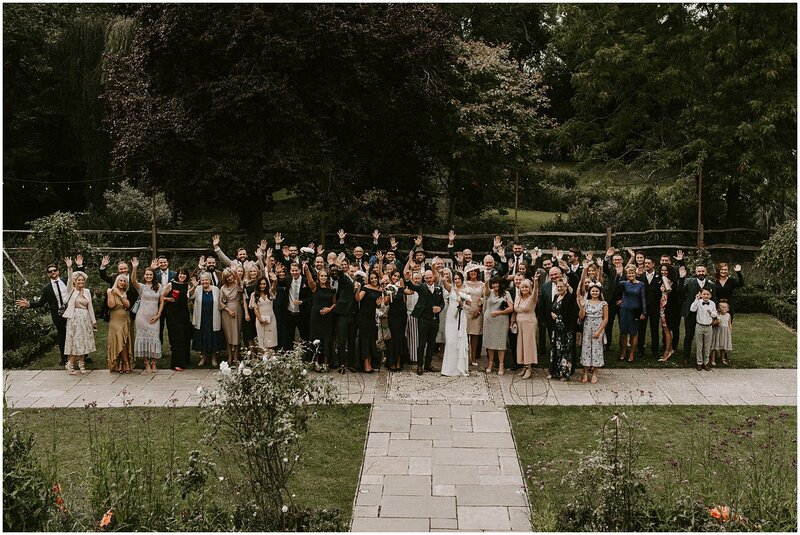 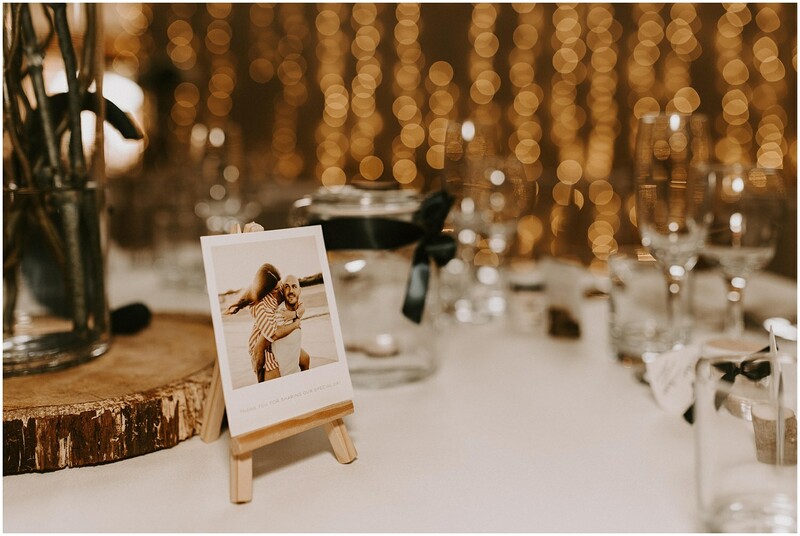 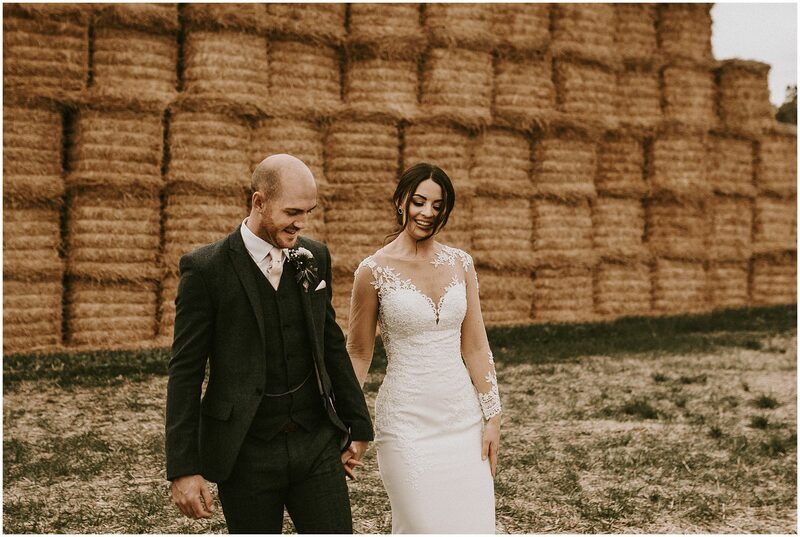 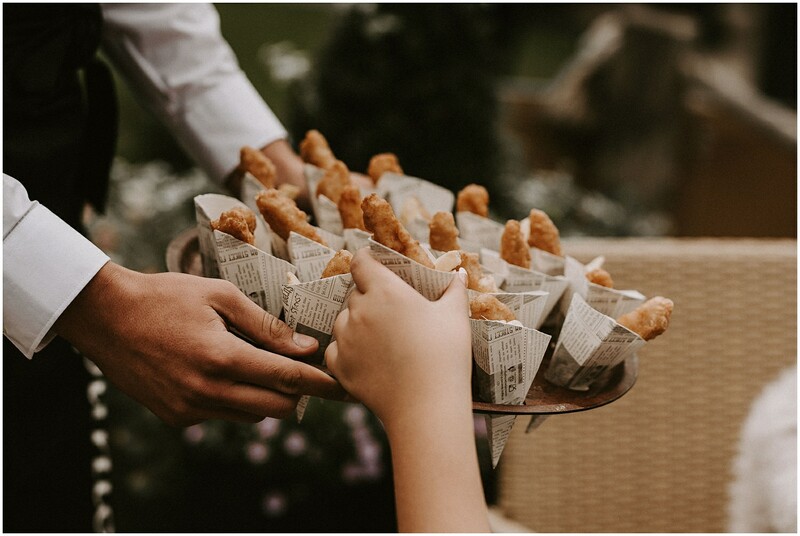 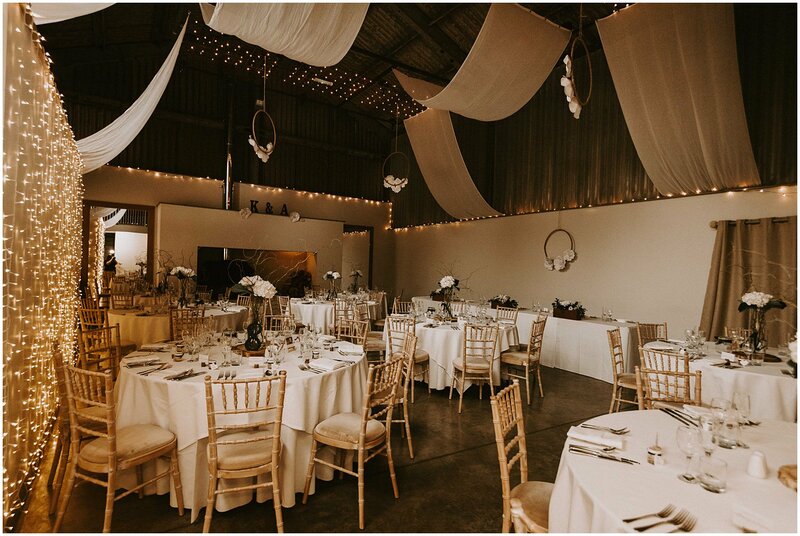 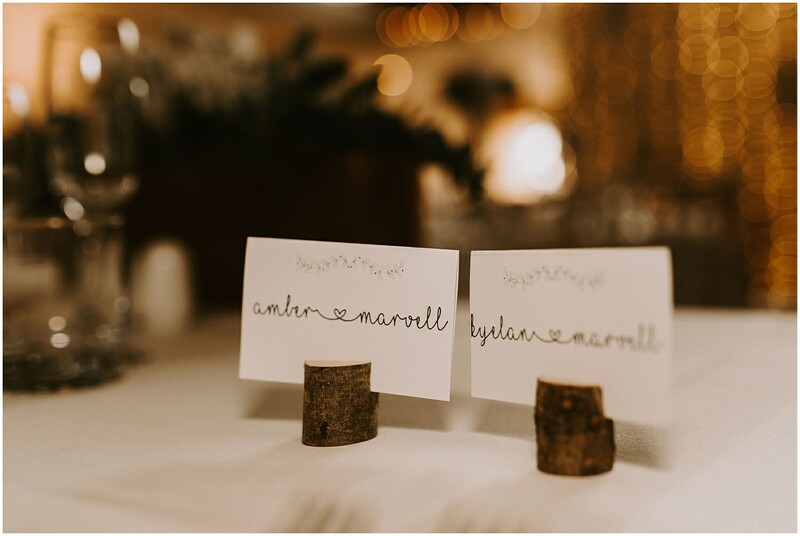 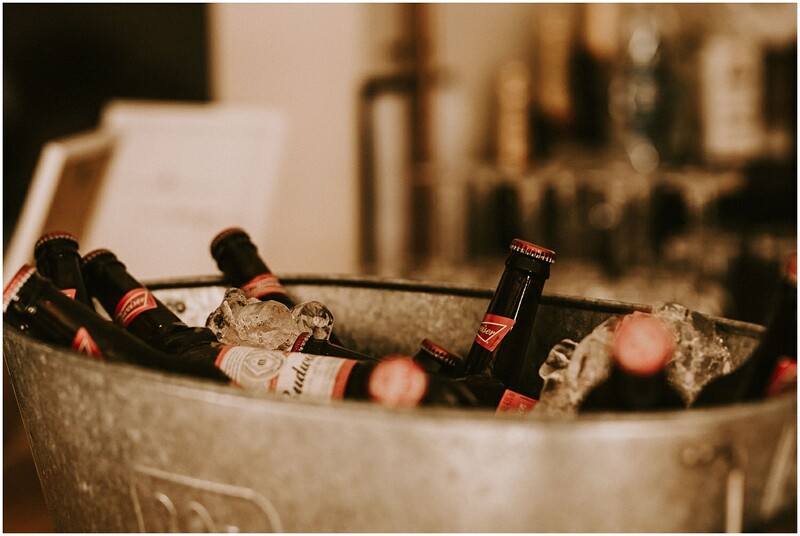 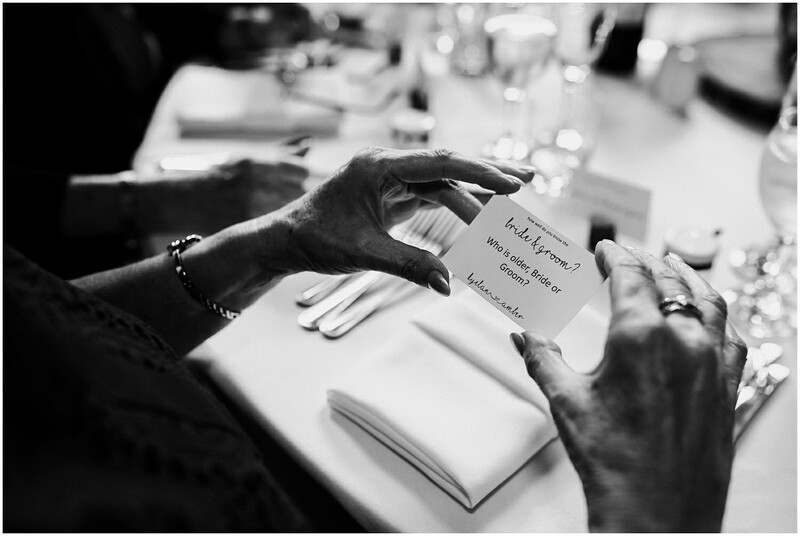 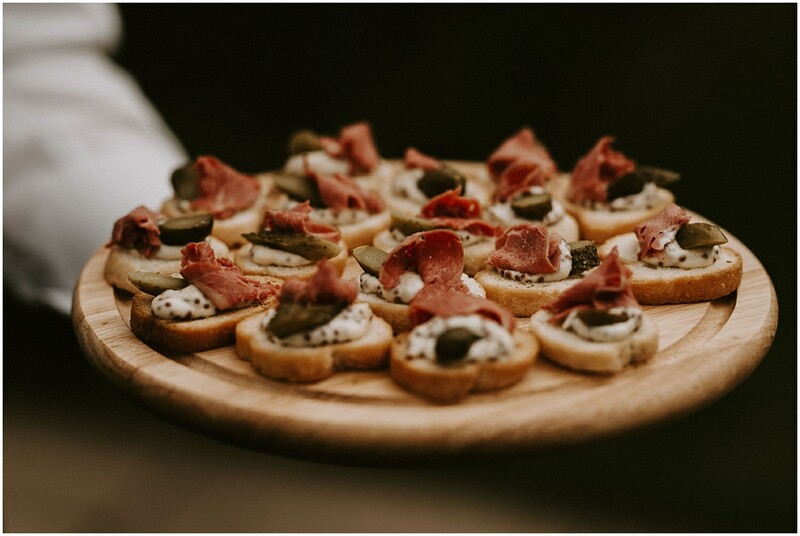 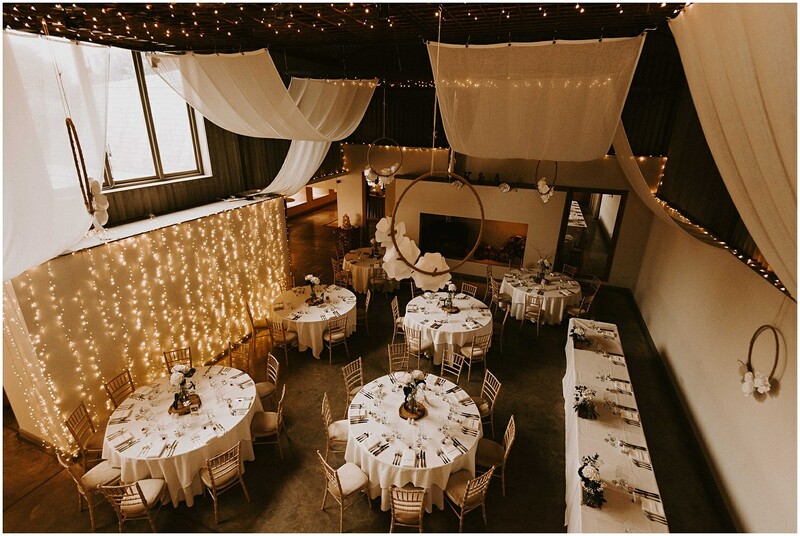 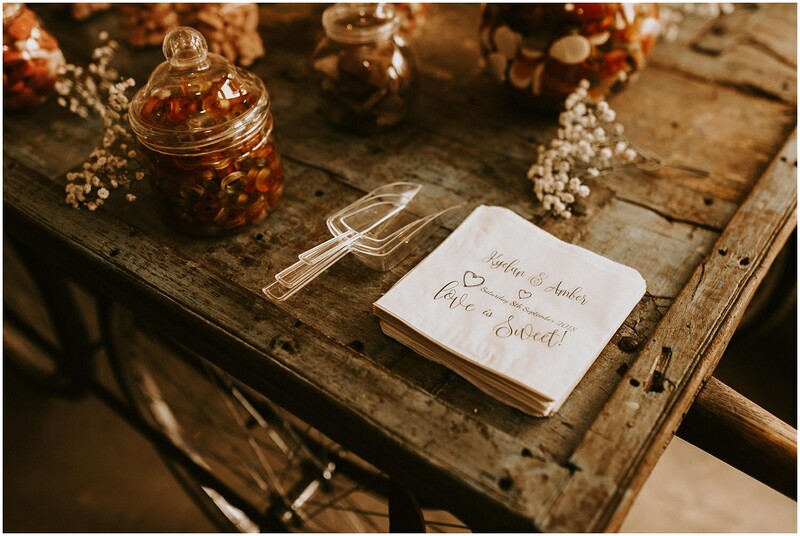 Not too big so that you lose your guests whilst they explore the venue grounds, the perfect size to be surrounded by those closest to you in a beautiful barn setting. 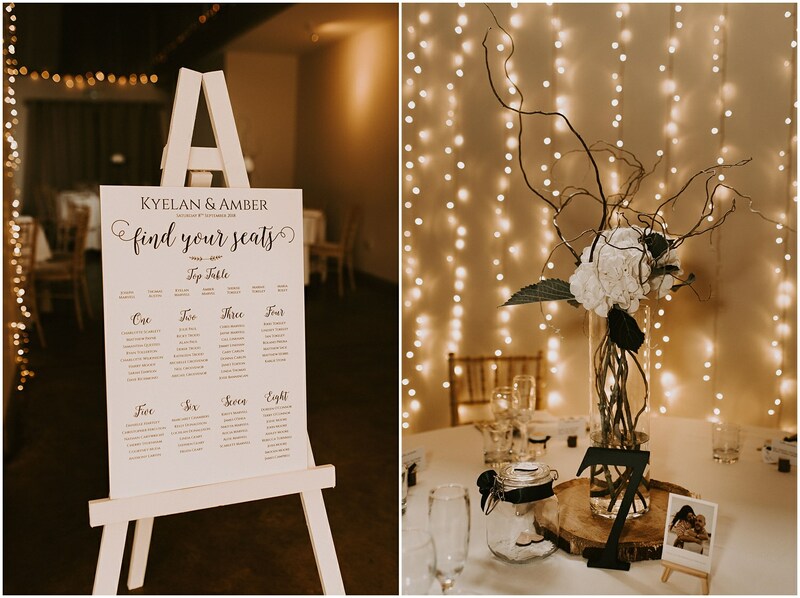 Amber + Kyelan are such wonderful people and really made me feel like any other one of their guests on the day of their Houchins wedding, so welcoming and friendly which was so lovely. 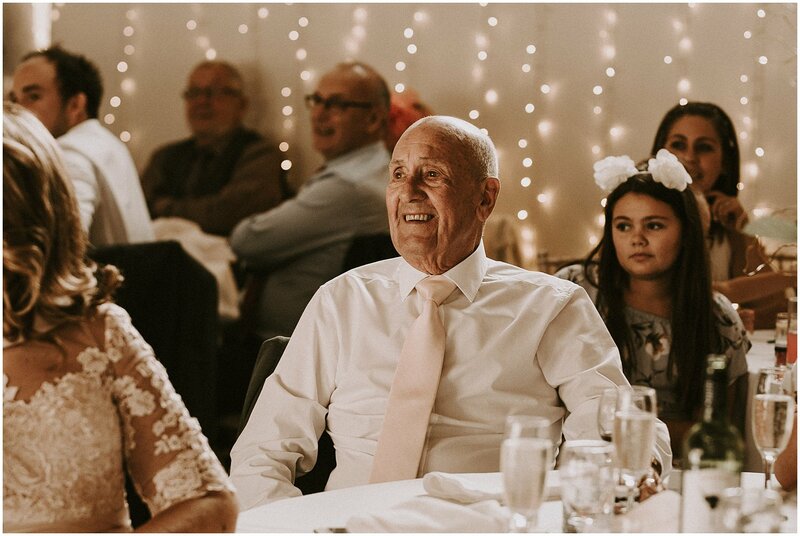 Some of the nicest people I’ve had the pleasure of meeting and you could really feel the love their friends and family had for them on this special day. 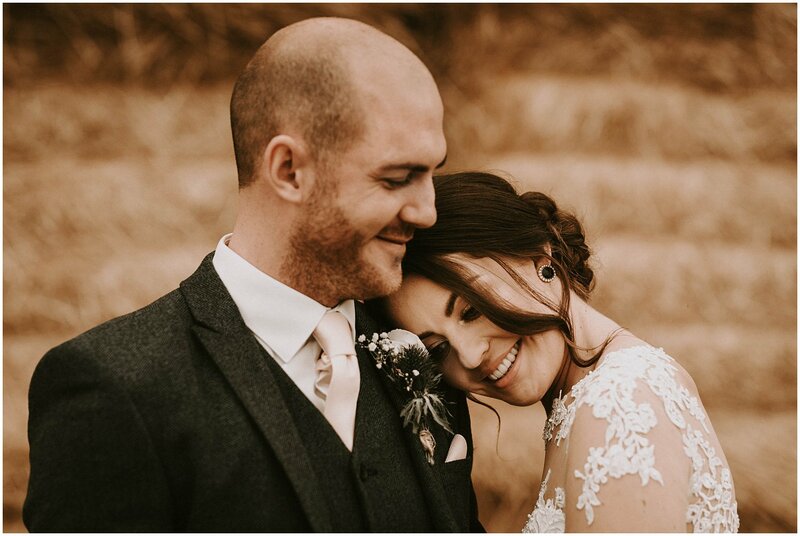 Amber + Kyelan opted for a pre-wedding photoshoot before their wedding as were both nervous about having their photograph professional taken and afterwards, in Amber’s own words: “So SO pleased I overcome my awkwardness to do the shoot, was such a good introduction to what the day will be like and the photos are honestly so lovely!” I mean these two were such naturals I have no idea why they worried! 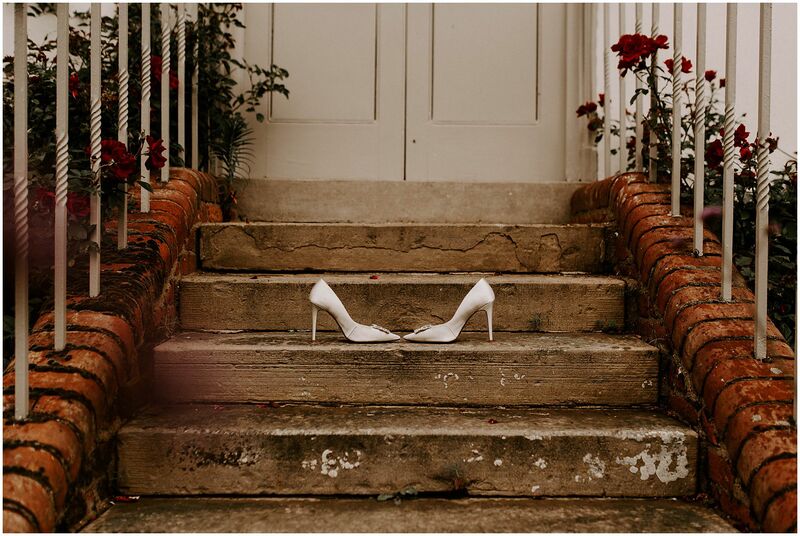 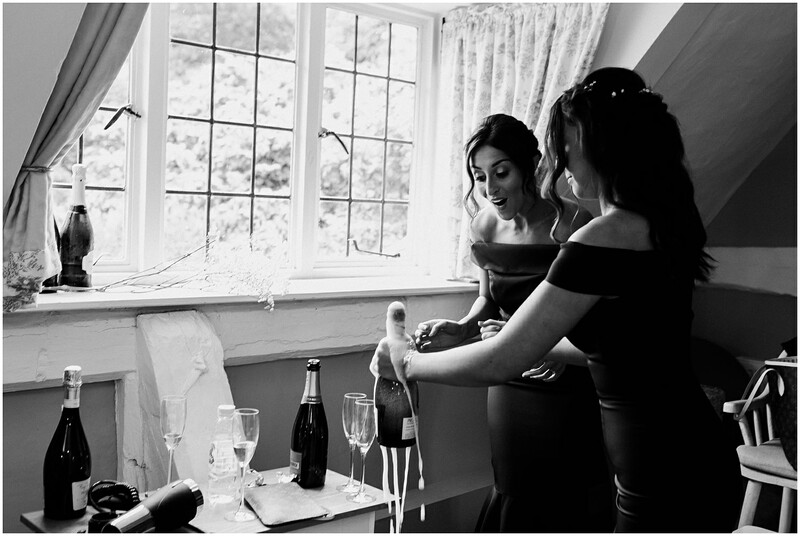 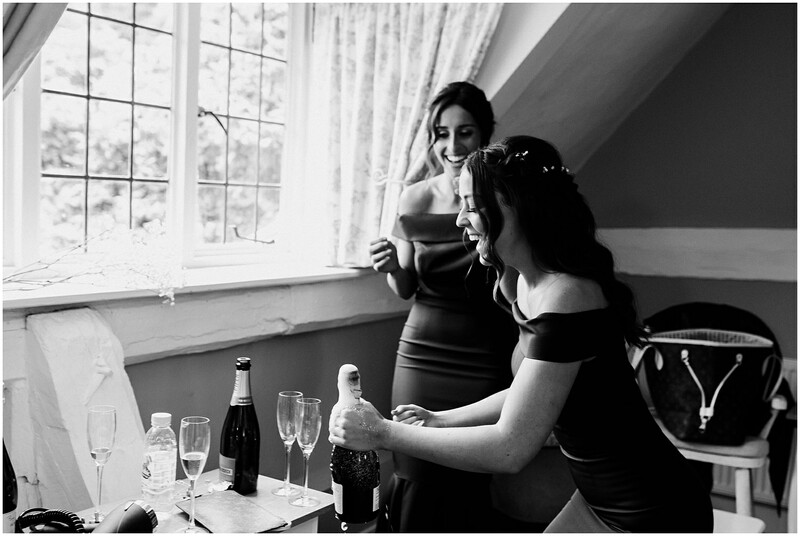 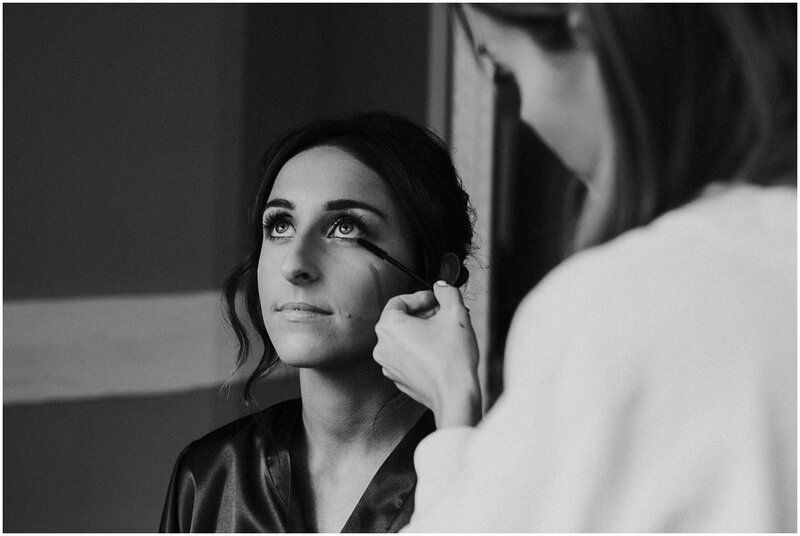 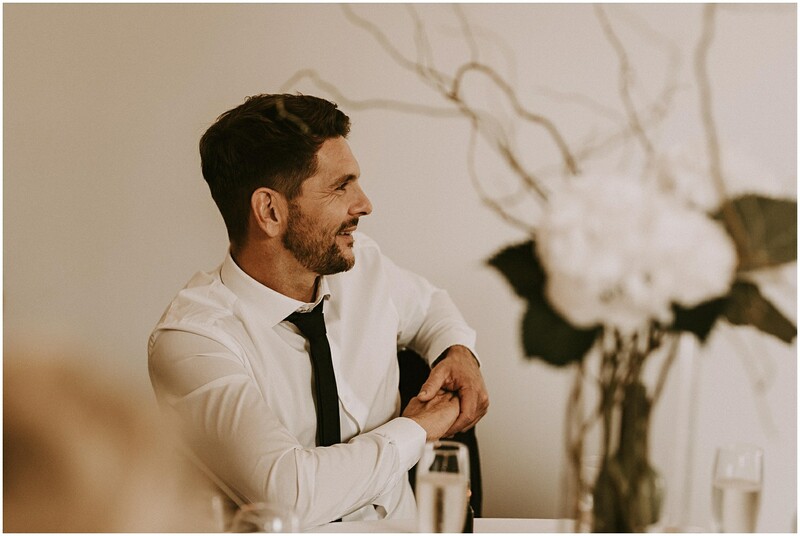 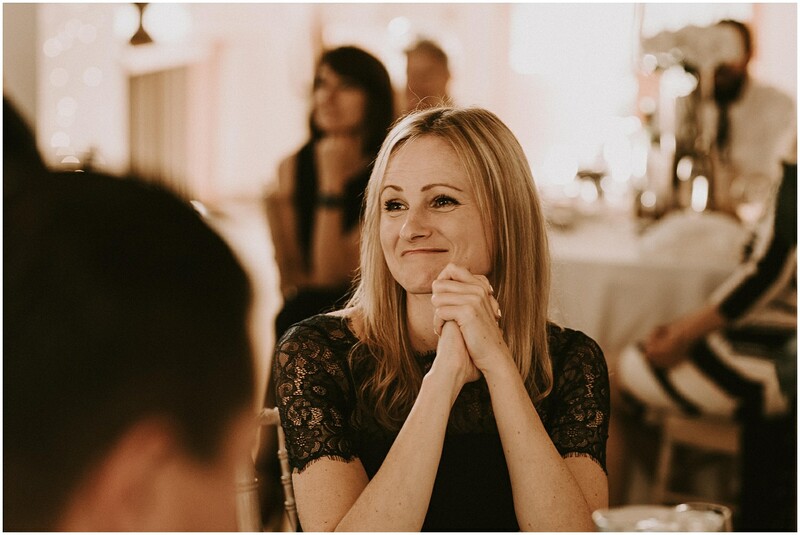 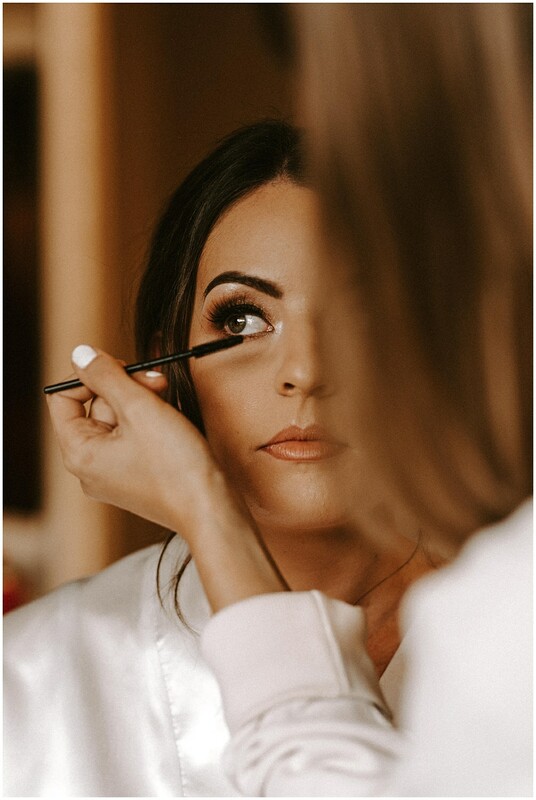 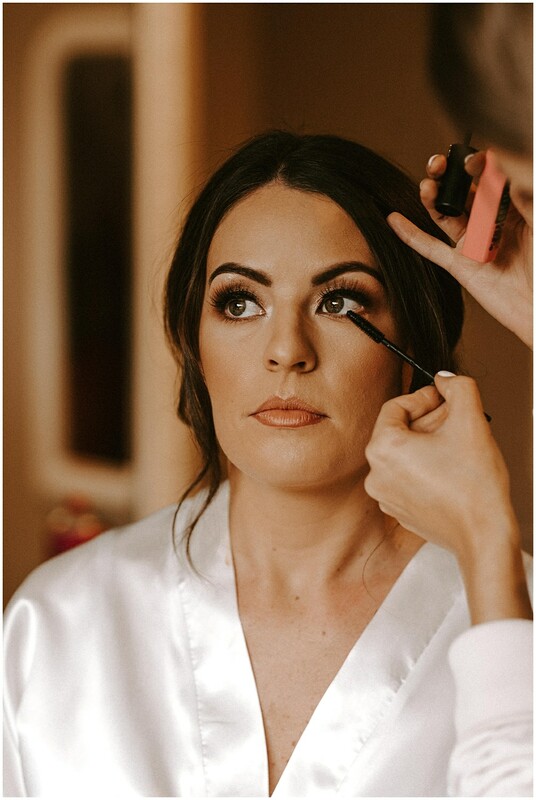 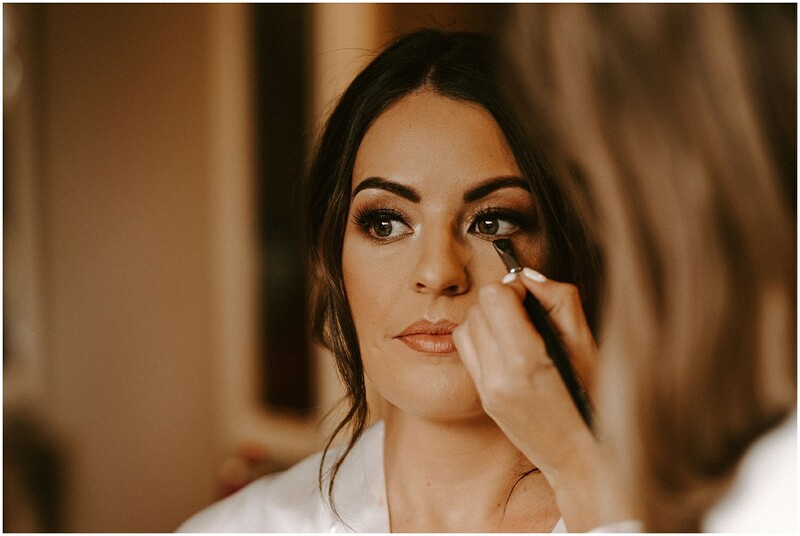 This is often the case when couples first have their photos taken, the apprehension beforehand is nerve-wracking but when the time comes for your pre-wedding shoot or the photography on your wedding day, its common to wonder what on earth you worried about! 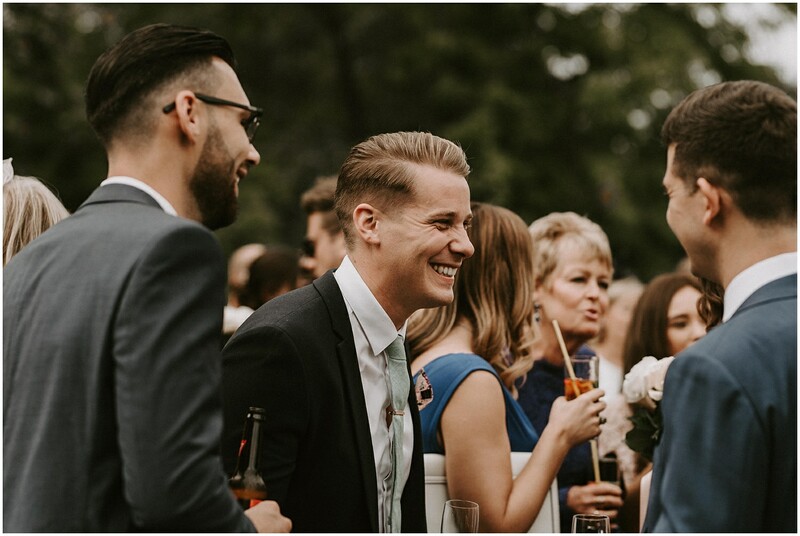 We always have so much fun. 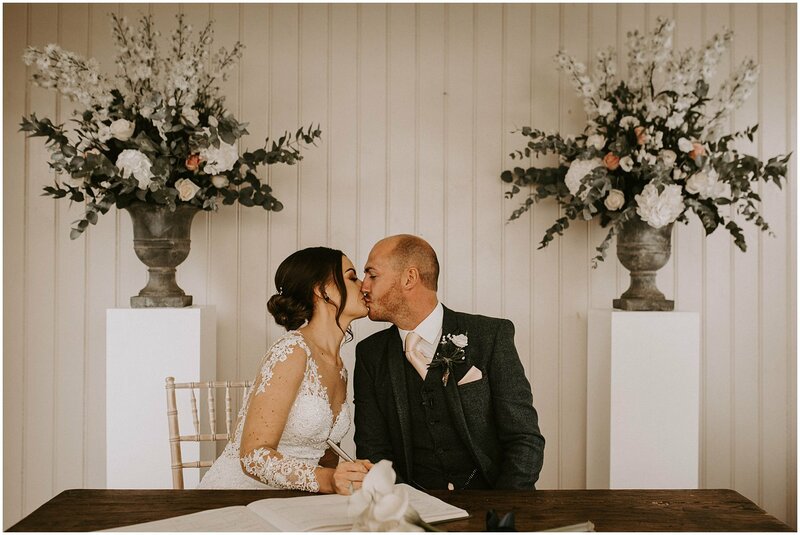 For their Houchins wedding day, Amber was super creative and even created her own bouquet! 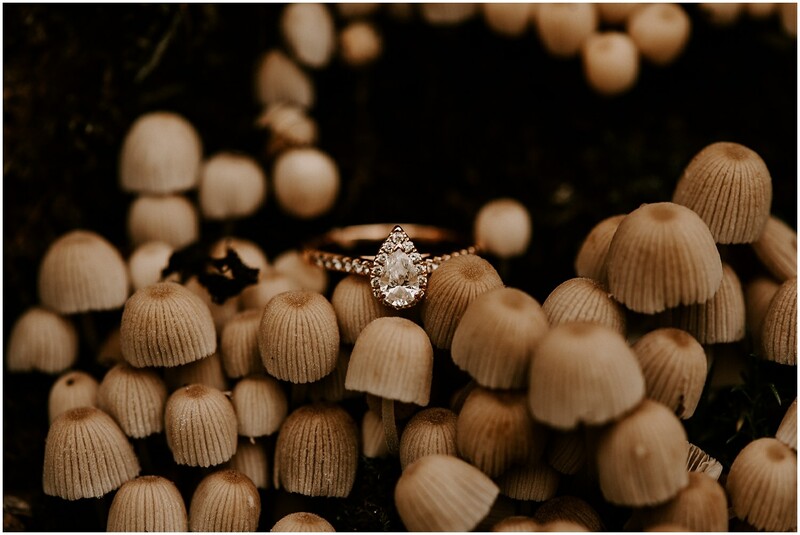 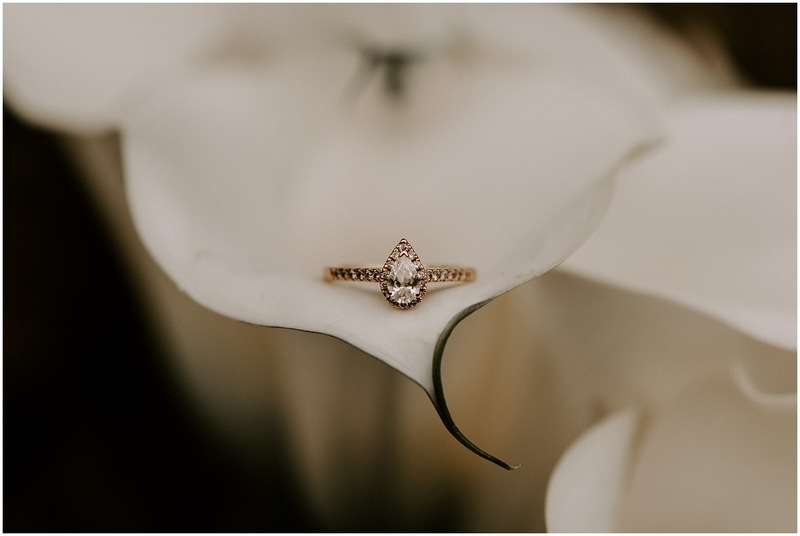 Such a beautifully unique array of lilys which also made the perfect backdrop for a shot of her stunning engagement ring (see below). 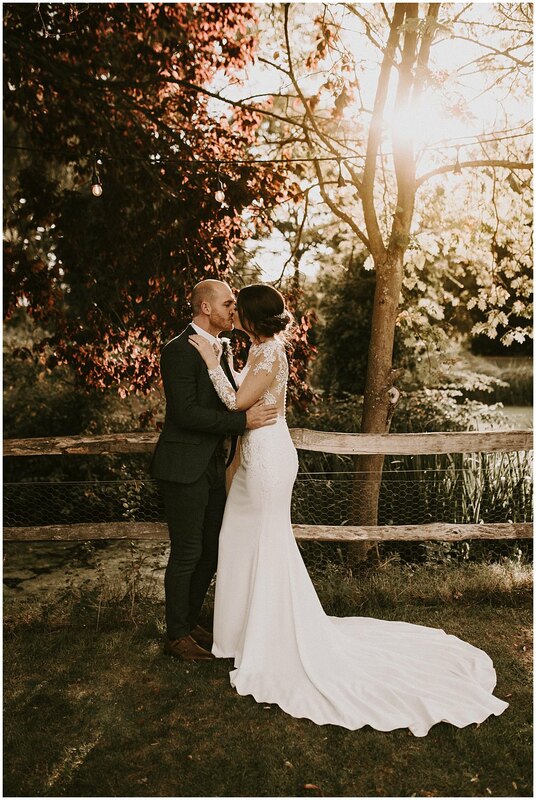 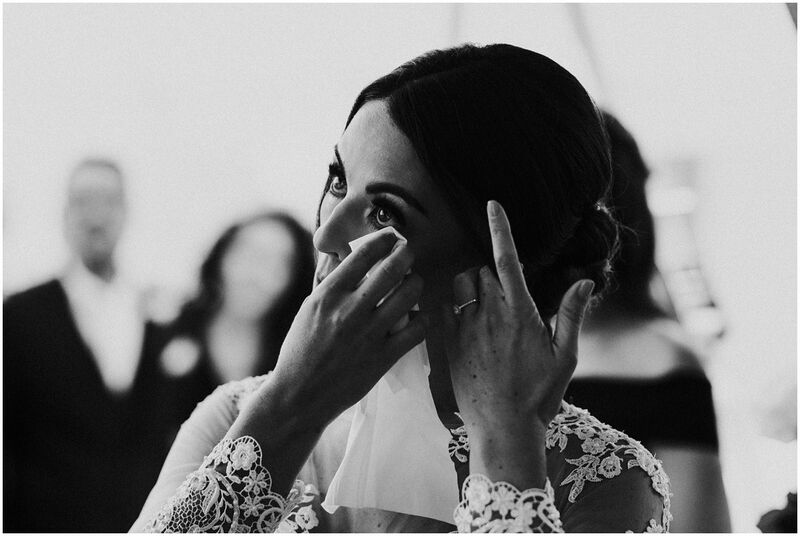 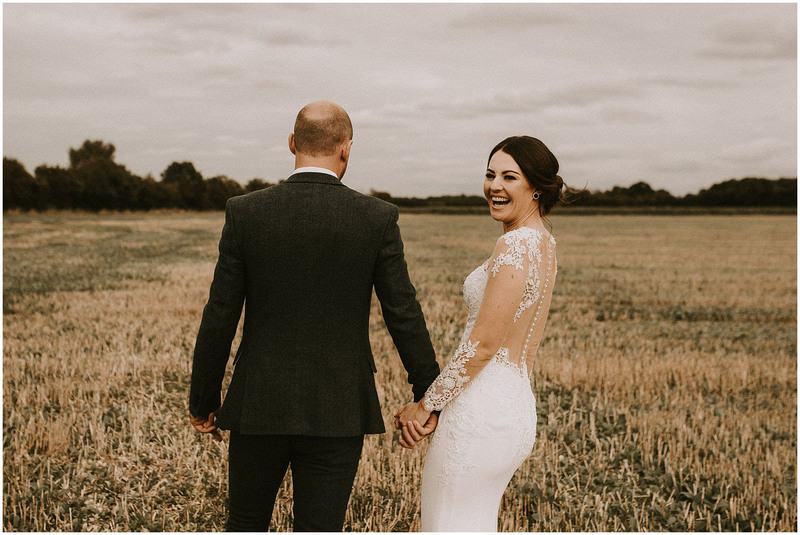 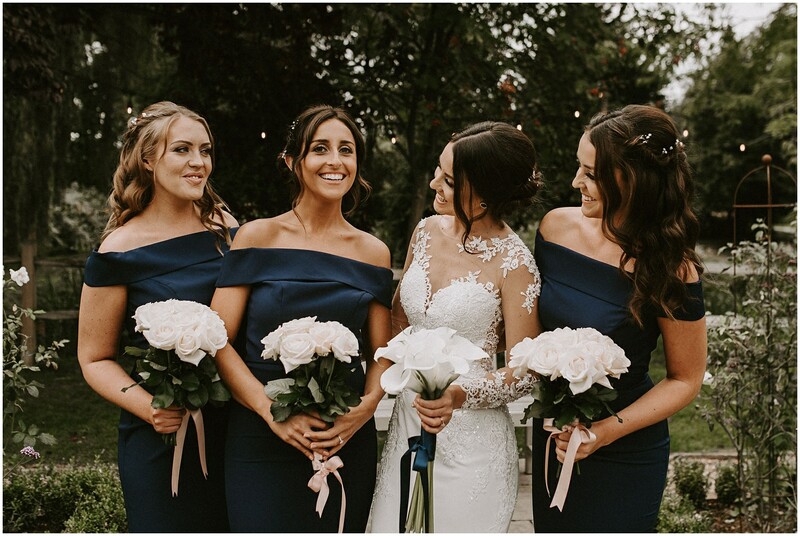 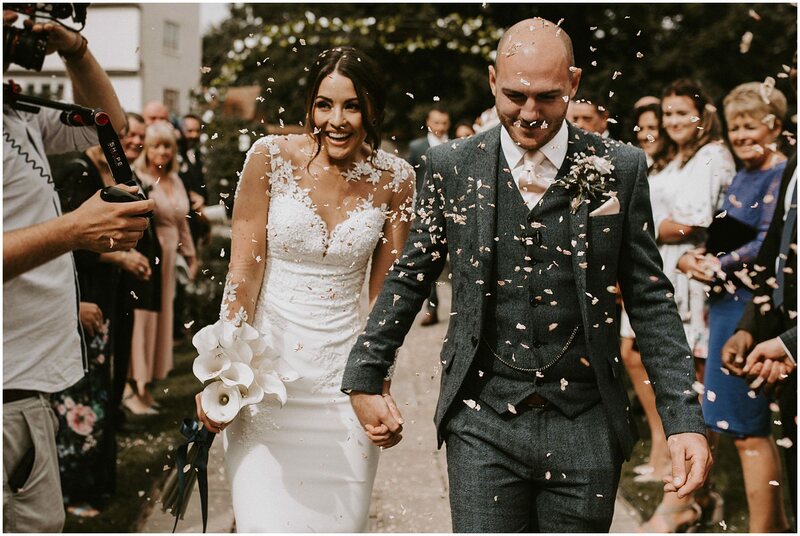 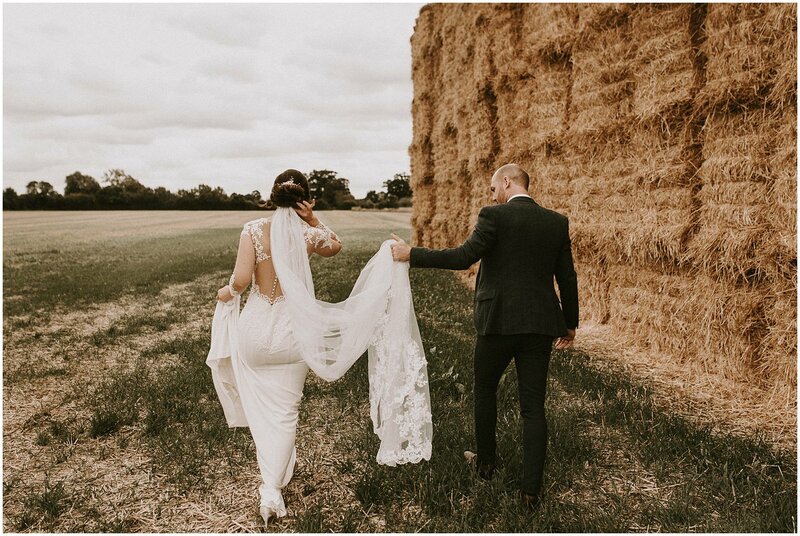 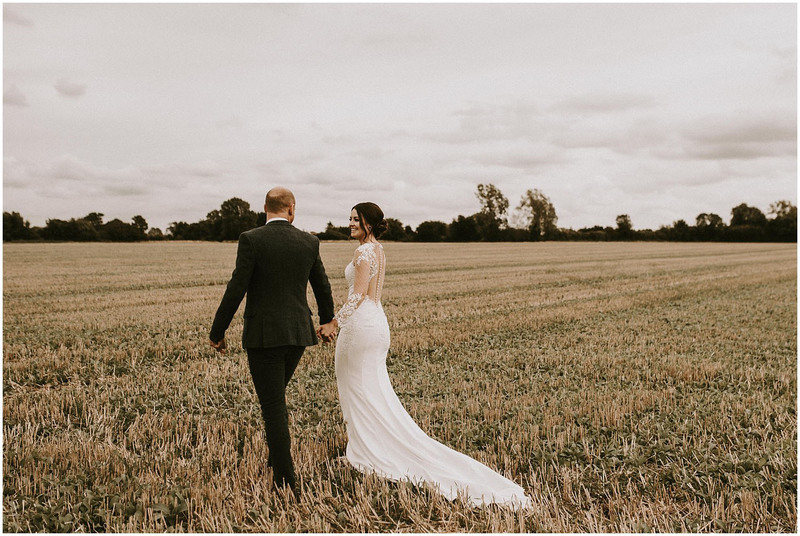 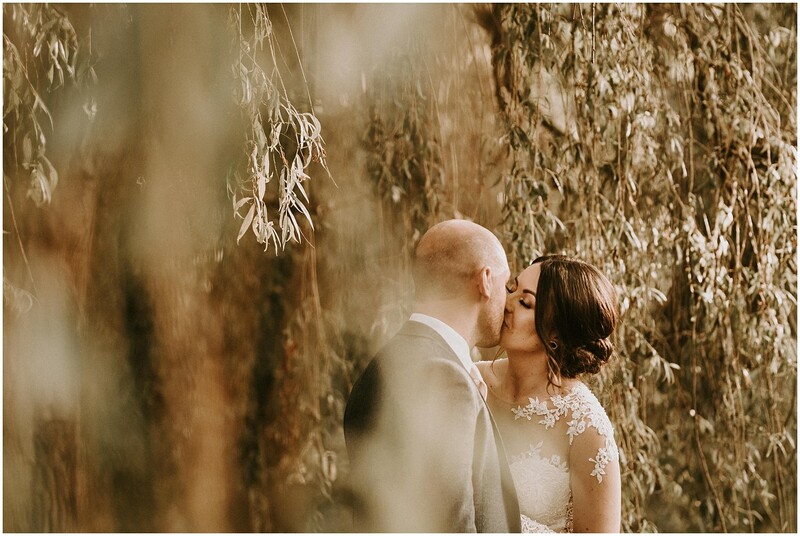 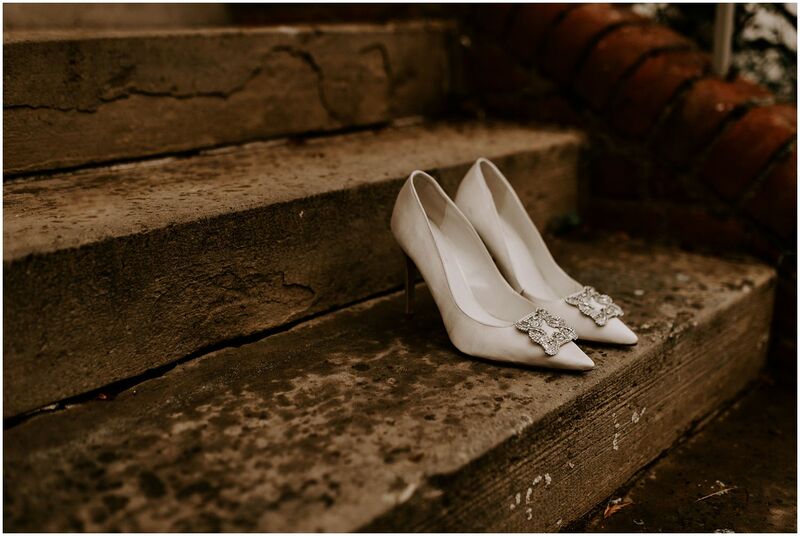 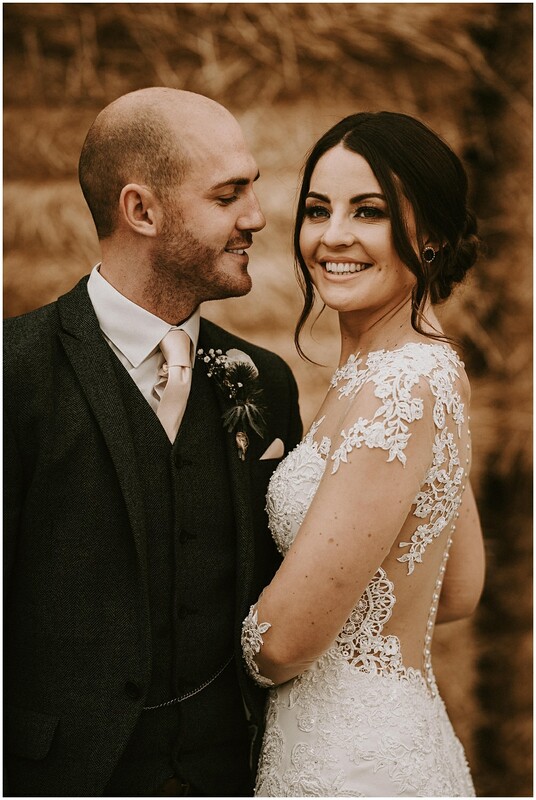 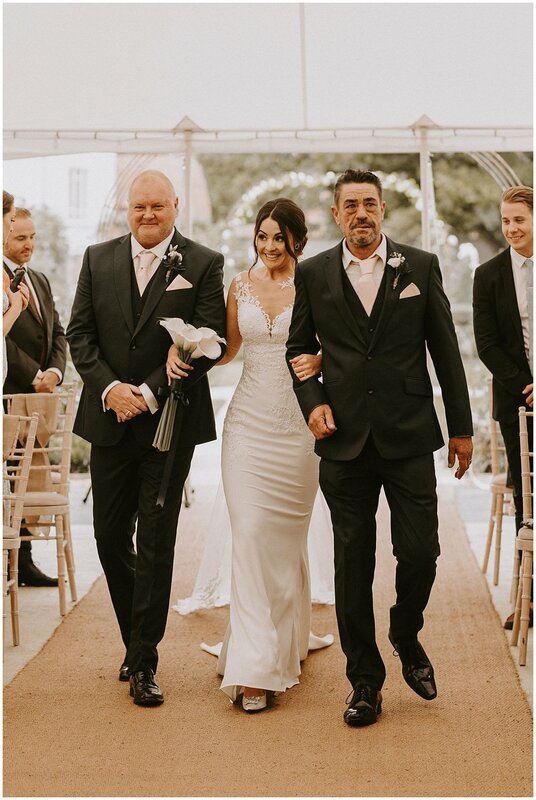 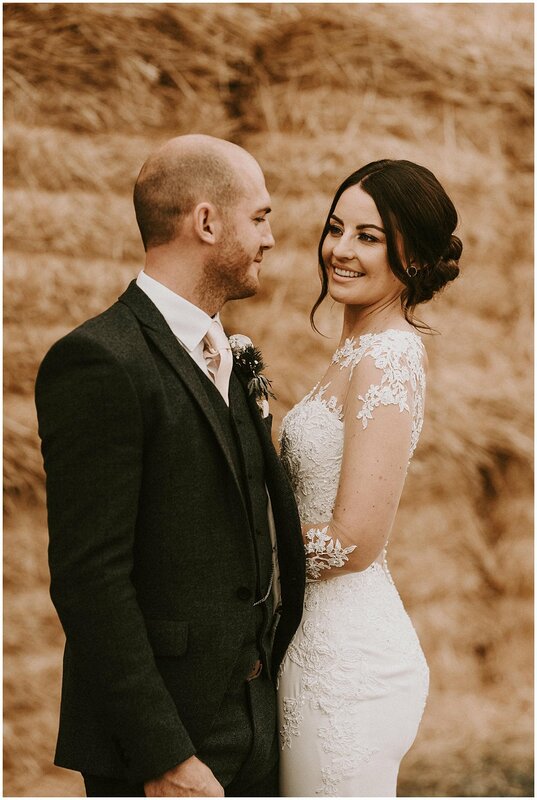 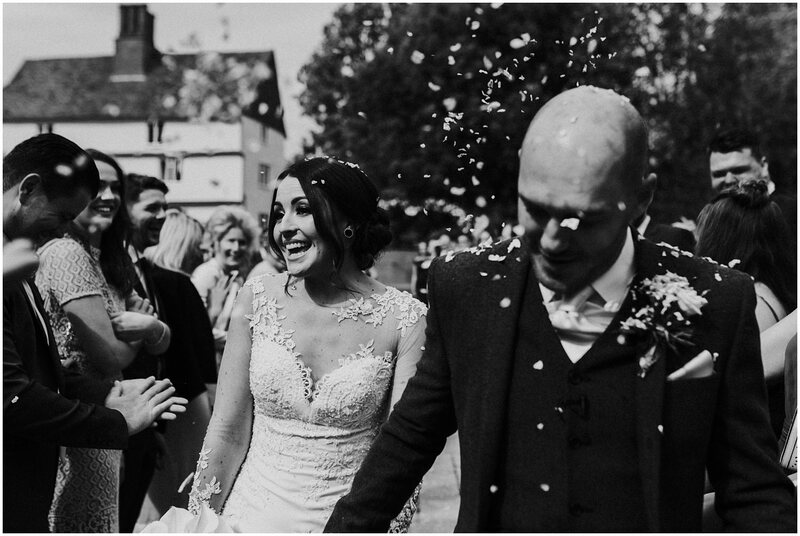 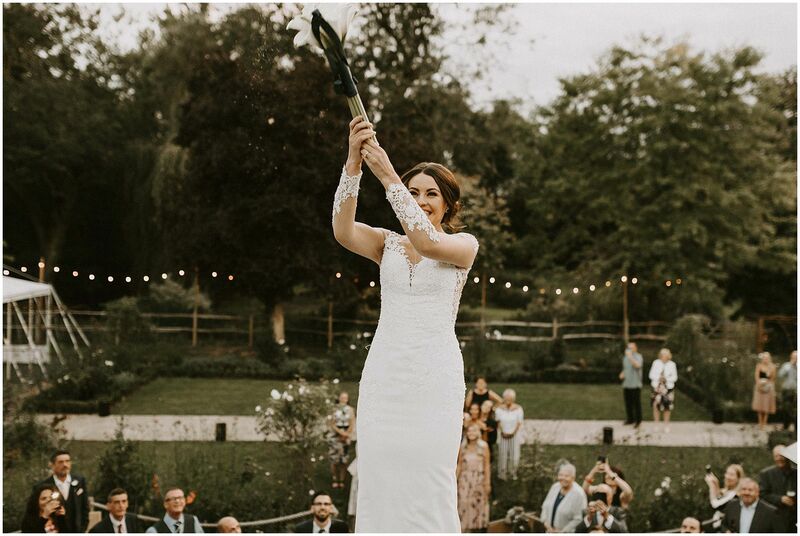 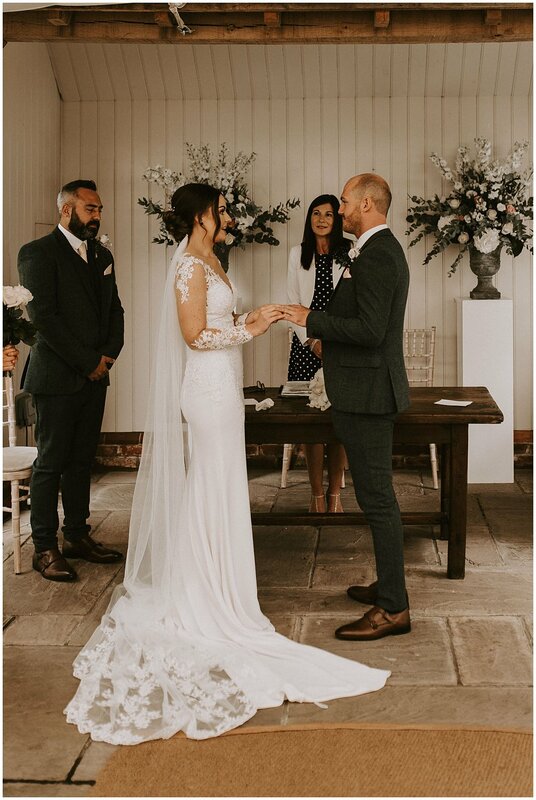 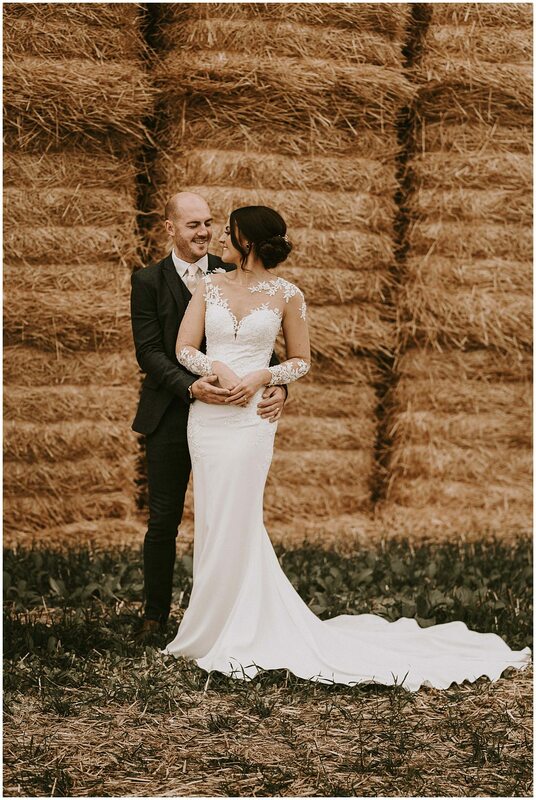 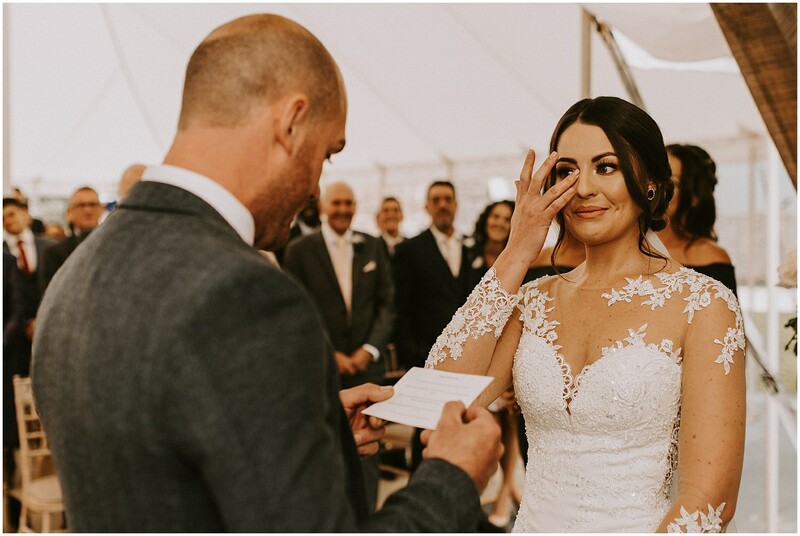 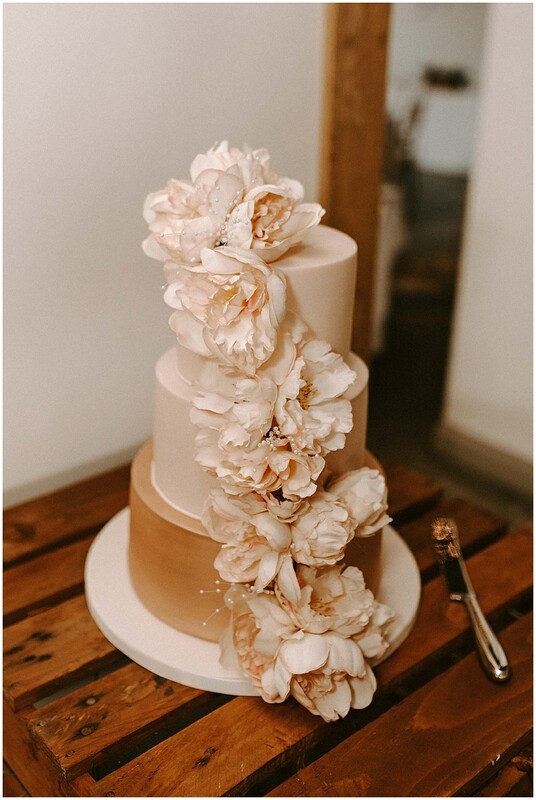 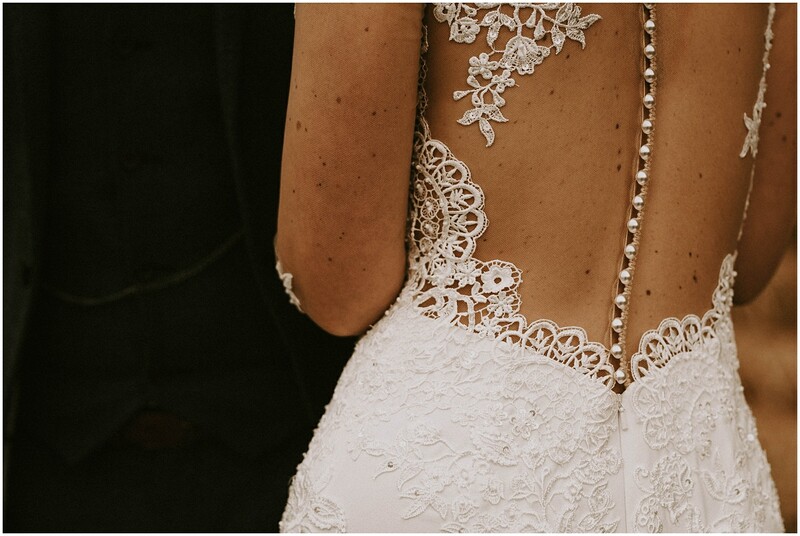 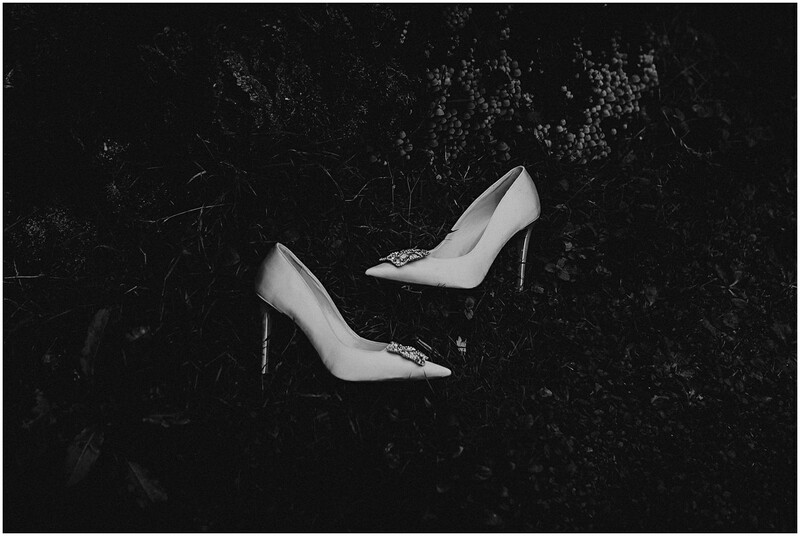 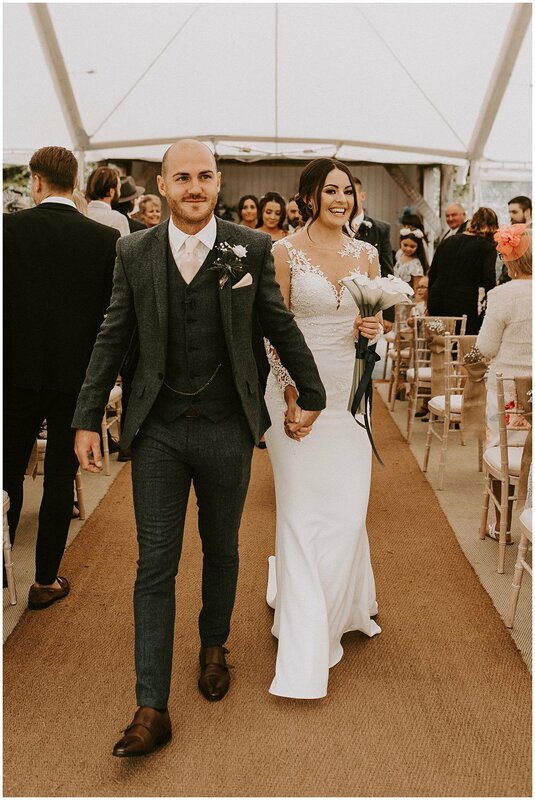 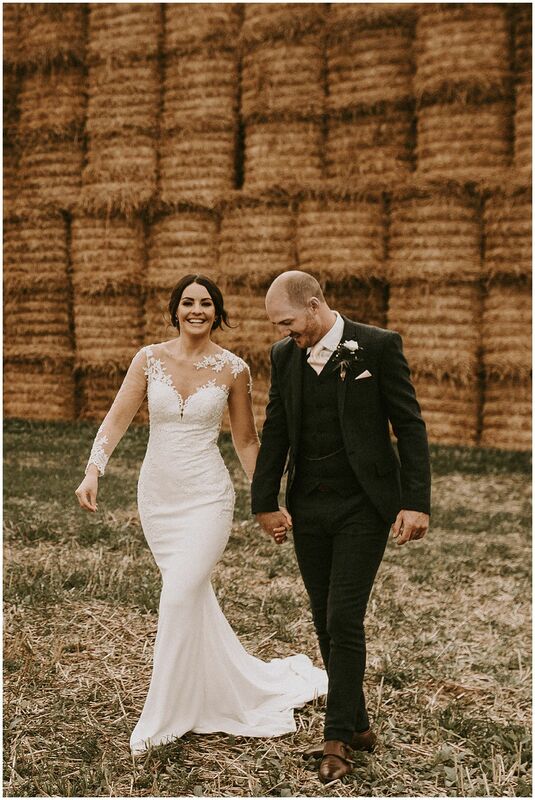 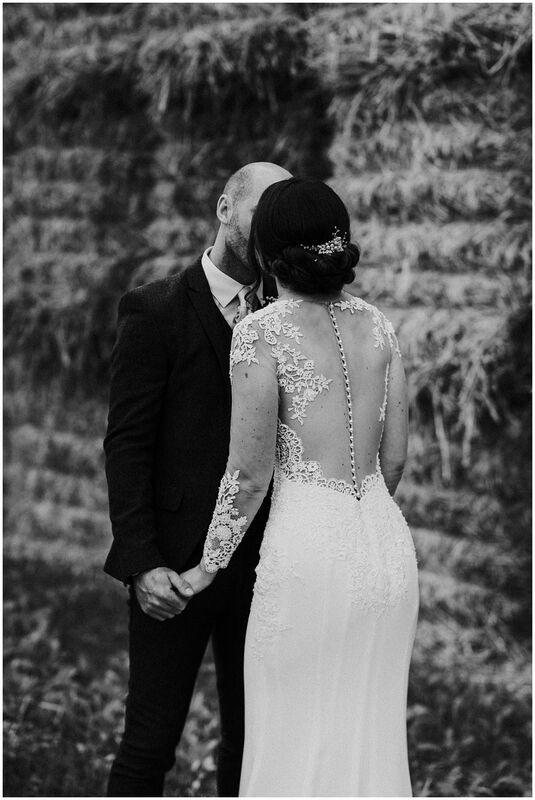 Amber’s elegant wedding dress was from Abigails Collection and had such a dreamy back, which came with it’s own funny story! 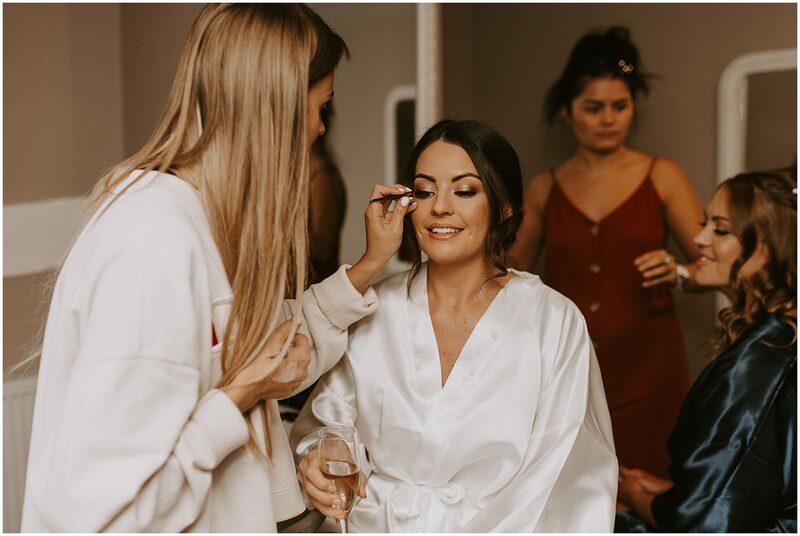 Amber and her bridesmaids actually spent some of the morning covering up a huge elephant tattoo with concealer to ensure the back of the dress got all the glory so unbeknown to those looking at the photographs, a hidden elephant lies beneath the beautiful lace back… I love little stories like that!